This year’s entry period netted 538 essays, just one short of our record reached in 2014. Entries came in from 16 states! 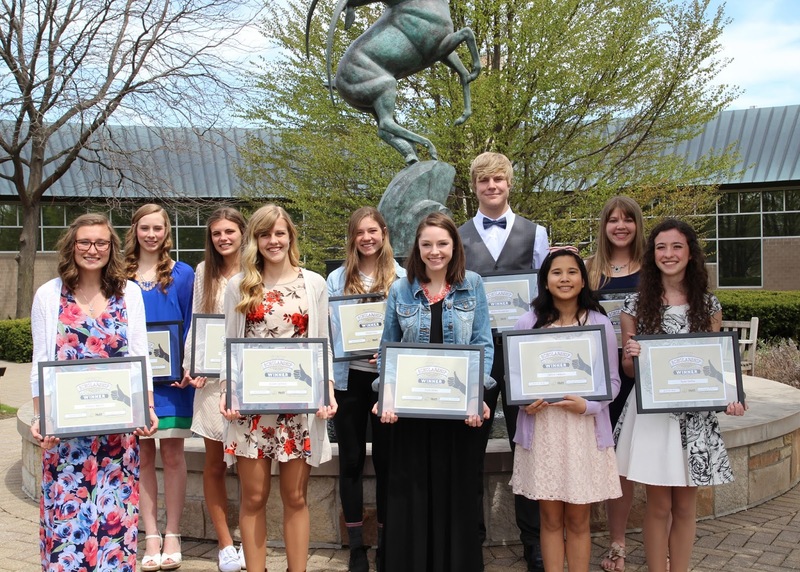 Each of our ten winners received a $2,000 scholarship to be used for any post-secondary educational needs. An awards banquet was held Wednesday, April 27, honoring this year’s winners. Natalie Coaster, Byron Center H.S. Mason Humphrey, Byron Center H.S. Kendra Kunst, Calvin Christian H.S. Lillian Lemkuil, Holland Christian H.S. Allyson Marvel, Cedar Springs H.S. Natalie Nye, Byron Center H.S.